41-Megapixel Nokia Lumia 1020 – Real Camera Image Quality From A Smart Phone? Looking for a camera phone with serious image quality? 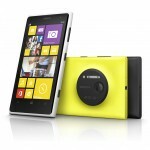 Nokia’s new 41-megapixel Lumia 1020 looks like the Smart Phone for photographers who want the best. 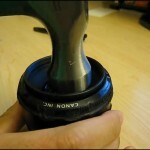 Video – Is This 50mm Lens Indestructable? Are you over-protective of your camera gear? This video should make you worry a little less about how you treat your camera and lenses. 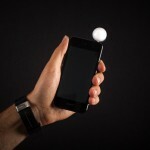 Lumu Labs iPhone light meter is more accurate than the meter in your DSLR, costs less than a traditional handheld meter, and it’s already in your pocket. 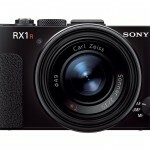 Sony removed the anti-aliasing filter from their RX1, making one of the sharpest cameras ever even sharper. Please handle the Sony RX1R carefully or you might get hurt! How do you make the world’s best pocket camera better? 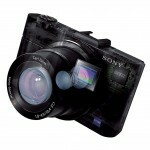 Sony updated the RX100 with a tilting LCD, Wi-Fi, an accessory shoe, and by flipping over the 1-inch sensor. With an APS-C sensor, 4G connectivity and Android Jelly Bean OS, Samsung’s new Galaxy NX mirrorless camera will take the best Instagram photos ever! 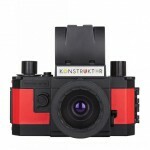 Build your own working 35mm SLR camera with Lomography’s super cool $35 Konstruktor DIY camera kit! Film nerds – the $99 Wanderlust Travelwide 90 4×5 film camera promises point-and-shoot convenience with large format film quality. Adobe’s new Creative Cloud subscription software package has generated a lot of controversy among photographers. Learn about the new Photoshop CC features and the Adobe Creative Cloud service controversy. Hands-on with Adobe’s new Lightroom 5 beta software – we check out the new Advanced Healing Brush, Radial Gradient and “Upright” perspective correction tools. The Fujifilm X-E1 is a beautiful camera with great traditional controls. It also has the best sensor available in a mirrorless camera. Read the complete review (and video review) to learn more about the X-E1. What do you know about Sony DSLRs? If you’re in the market for a new digital SLR, read this article to learn why Sony is the most forward-thinking DSLR designer right now – especially for HD DSLR video. Fujifilm’s latest outdoor point-and-shoot camera can go 50 feet underwater and has built-in Wi-Fi so you can share photos and videos from nearly anywhere. It’s a perfect summer adventure camera – especially the hot yellow version!